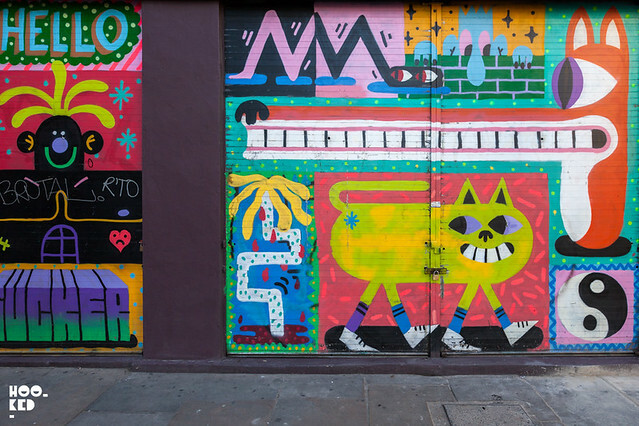 It's been some time since we ran into one time Shoreditch regular Malarko Hernandez on the streets of East London. It would appear the artist has been busy at work in his studio the last number of months on his upcoming project 'The Shock of the Goo’. The exhibition set to take place at Boxpark on September 3rd will showcases a series of recently completed works from Malarko which are part of a larger on going project, that are formed on a base of juvenile tendencies and direct action. "Impatience and questionable humour flow through the works and are coupled with naive energy and an inquisitive subject matter, leaving the viewer asking: What is Goo? Where does Goo come from? Or even the ambivilous, Am I Goo? Cues are taken from the most important artistic movements from the last century in line with the title of the show, which itself is a take on the 1980 Robert Hughes Documentary that examines the rise and fall of Modern Art." 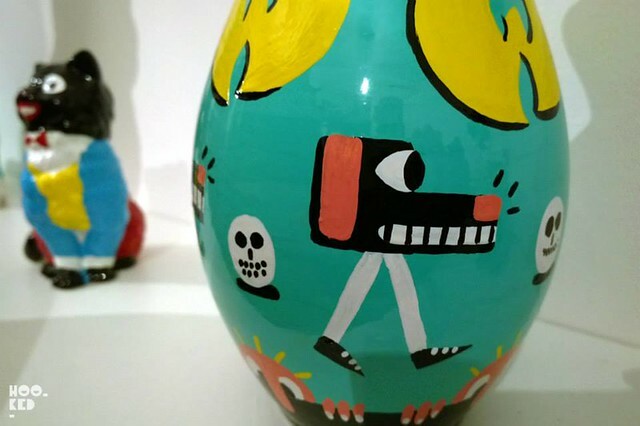 The show will be largely focused around crudely made ceramics made by the artist and represents an exploration of process, embracing the qualities of the physical medium, clearly expressing the idiom; out with the old and in with the the Goo. This is a medium that the artist has been exploring and experimenting with for some time, having shown a small selection of ceramic works at his 2013 show Puppy Snatcher (covered here). 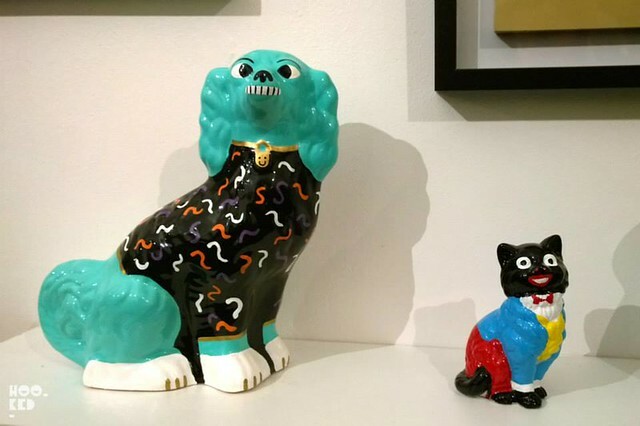 Some of the ceramic works pictured above from Malarko's 2013 Puppy Snatcher exhibition at Beach London. Malarko's The Shock of the Goo (flyer via Malarko, pictured above) will be on show for the month of September at BOXPARK in Shoreditch, with a private view on the 3rd September. To coincide with the exhibition Malarko will host a week long pop-up in Unit 26 from 1st September. The pop-up space will house limited print editions and original artwork from the artist all of which will be available for purchase. As an added treat, Thursday 3rd will see the launch of a new screen print from the artist!